Sunday mornings are the best part of the week. I feel like I have the whole world in front of me. It inspires me (sometimes). Today was a good Sunday; I was inspired to cook. Well, cook might be a strong word. I was motivated enough to go to the grocery store, Publix, because I wanted to make a pot roast. Let me just stop right here and tell you that Publix is the best grocery store around. I know they are more expensive than everyone else and I just don't care. As long as I get twice-a-month paychecks, I'm shopping at Publix. And also, as an aside, my main focus for going to the grocery was to buy eggs. Yes, I should have walked out of Publix with a carton of eggs and a penny in change for my $2.00 splurge. But that's not what happened. This is Publix we are talking about. It's just so darn clean and organized and all the displays are practically begging me to buy a week's worth of groceries. And the Buy One, Get One display? I cannot avoid it. So before I get the eggs, I had to go look at the roasts in the meat section, and then down to the produce section, where I pick up red potatoes, celery, carrots and onions. While I'm there, I figure I'll get a few tomatoes and lettuce for a quick salad. Then I remember we may need coffee creamer and, look, I'm at the yogurt section, where I toss in a few to treat as my dessert later. I finally grab eggs, and then head over to the deli meats, where I grab some bacon for breakfast, said bacon being BOGO. And orange juice, I must have it with breakfast. Yep, I left Publix with seven bags of groceries, $62.00 lighter, and I didn't forget the eggs. I finished my potato chip scarf. It is better described as a ruffle scarf. The name potato chip is because you can't make just one (and this is my second one). The first time I used a cotton yarn in a nice mild red color, but I felt like the scarf was too flat. This one was done in an acrylic sparkle yarn I got at Hobby Lobby. Much better suited for the project. 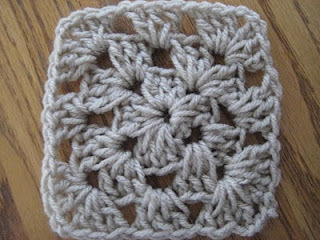 I'm also working on a baby blanket - the shower is next weekend, but I am very confident that I can finish this in time. I've made this baby blanket twice before. This time I'm using a 50/50 cotton and acrylic yarn, held in double, and the blanket feels dense. I love the feel of this yarn. It's another Hobby Lobby yarn, Baby Bee Hushabye. 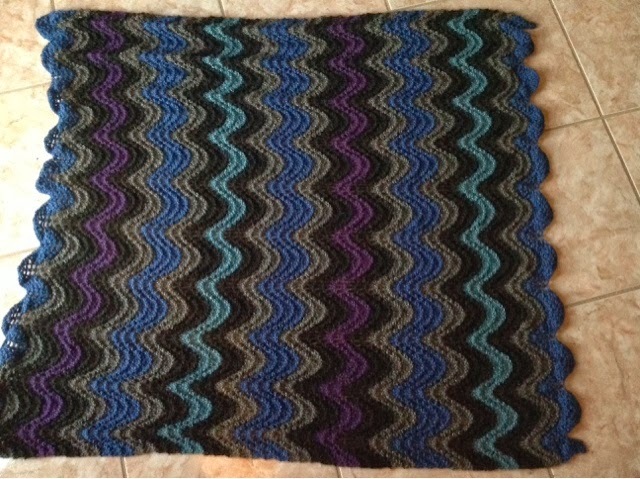 It's a gradient blanket so one color feeds into the next. So, this Sunday, I've actually accomplished enough to make me feel like a productive member of society. The slow cooker is on and my pot roast is cooking with all those wonderful vegetables. The house smells great - dinner will be very good tonight.